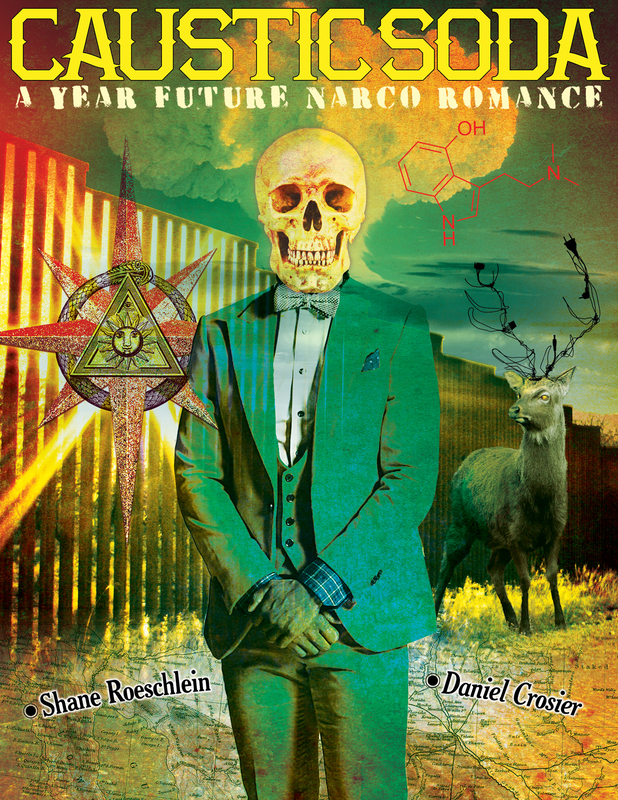 The Kickstarter crowdfunding campaign for the graphic novel Caustic Soda – A Year Future Narco Romance has launched. You can participate in this creative endeavor by contributing! Contributors/collaborators will receive fantastic rewards, including original artwork from Daniel Crosier, Sonny Kay, BobRob Medina and Moonlight Speed. This entry was posted in Blogroll and tagged art, bobrob medina, caustic soda, comic book, comics, daniel crosier, DIY, drug war, fiction, graphic narrative, graphic novel, joe triscari, Kickstarter, moonlight speed, sonny kay, writing. Bookmark the permalink.